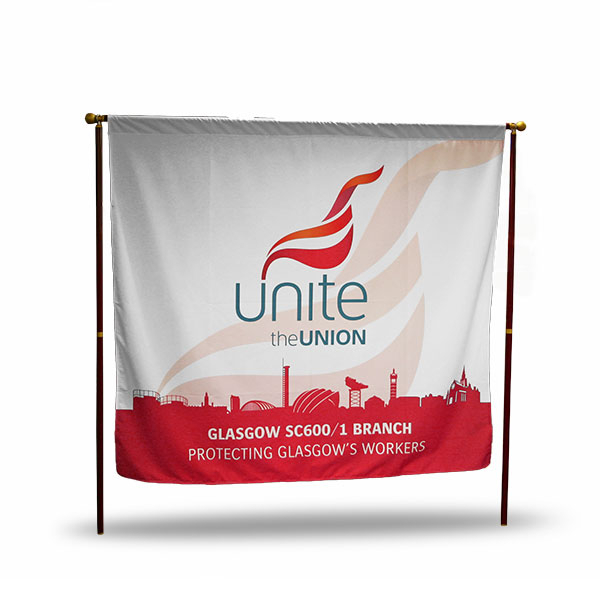 Digitally printed 244 x 183cm Ceremonial Banner with double thickness decotex 235gsm material. The Flag is printed to both sides. (72mm flat tabs to suit 30mm diameter pole). uprights and eye bolts, 2 brown leather carrying straps (1 for right hand side and one for left hand side) to help carry the banner. 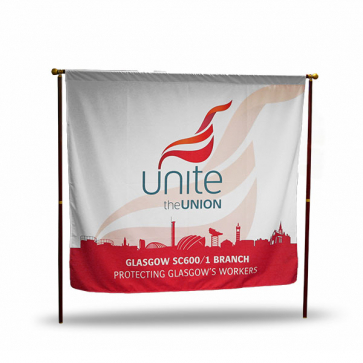 There is also a carry bag for the banner which includes the straps to hold the poles.